Sri Lanka's media needs reform -- can new President Sirisena deliver? Any nation’s media would be hard pressed keeping track of a landslide of political change, environmental crises, imminent constitutional reform and a general election, all while keeping safe from a generation of assassins used to impunity. When the media itself needs reform too, the problems might seem overwhelming. This is why Sri Lanka needs a constitutionally recognised national commission to oversee that reform and ensure freedom of expression is properly defended. Maithripala Sirisena’s unexpected and virtually peaceful election win over incumbent President Mahinda Rajapaksa was quickly painted as a game changer for the country’s media. He and new Prime Minister Ranil Wickremesinghe began well by lifting blocks on independent news websites banned by the old regime. Exiled journalists were urged to return. Sirisena also promised to use his new authority to investigate the 2009 murder of combative political journalist Lasantha Wickrematunge, whose killers are still free. But the early offers soon began to look token. There was no matching commitment to identify the killers of cartoonist Prageeth Eknelygoda, who went missing five years ago, or the men behind the notorious “white van” abductions of peaceful activists. In fact Sirisena’s commitment to media freedom looks somewhat qualified. A series of special expert commissions will be established to oversee an independent review of the judiciary, police, public services, elections, human rights and anti-corruption measures, written into authority by a 19th amendment to the constitution. Pointedly perhaps, the list does not include a commission on the media. 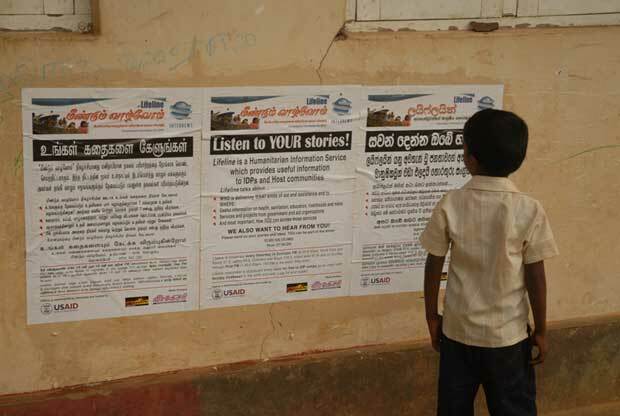 Plans for an independent media commission are not new, and were excluded from what was eventually enacted as the 17th amendment to Sri Lanka’s Constitution in 2001. Media rights groups should steel themselves for a fight to ensure that the much-needed body is not excluded again. The journalist and legal scholar Asanga Welikala calls for the founding of an independent media commission on the recommendation of the constitutional council and representing working journalists, academics, proprietors and new media. Self-censorship drove the majority; more deadly means of censorship were reserved for the small cadres of independent journalists who could not be bought or fired, says Kurukulasuriya. Will the government go on reading “media freedom” as owners’ rights, not journalists’ rights? Reforming the Sri Lankan media is a vast task. The counter-intuitively named Independent Television Network needs privatisation and the nominally public Sri Lanka Broadcasting Corporation (SLBC), and the Sri Lanka Rupavahini Corporation (SLRC), need a proper public service broadcast mandate and an end to political interference. A constitutionally mandated media commission could appoint and “audit” the works of a new independent broadcasting authority founded to oversee their works. There is justice still to be found too. According to the Committee to Protect Journalists (CPJ), Sri Lanka has the fourth worst record on its 2014 Impunity Index, which spotlights countries where journalists are murdered and the killers remain free. That Sirisena is showing little inclination to substantively change matters. Bandula Padmakumara — the chairman of the Lake House newspaper group, morning news show anchor and well documented supporter of the Rajapakse family — went just a few hours after the election results came in. But few others have followed. The new president may have to rely on established partners in self-censorship to help shore up his “fragile, sprawling and diverse” coalition, as the New York Times described it. With parliamentary elections set for late April under Sirisena’s 100 day schedule, the campaign may see old favours be called in and the media expected to help paper over the coalition’s cracks. Without greater independence the Sri Lankan media will not be able to fairly and accurately report the campaign. International and regional media rights groups need to heap pressure of their own on Sirisena’s new media ministry secretary, Karunarathna Paranawithana, who describes himself on his Facebook page as a “diplomat, journalist (and) political activist”. The appointment of a constitutionally recognised commission for the media next month would not do much to change the situation in time for the election, but it would send a clear message to embattled journalists that change was on the agenda and risks were worth taking. According to Sirisena’s own strict timetable, his administration will establish the independent commissions on Wednesday 18 February. There’s still time to add one on media to the list. what a dishonest, ignorant, one sided, article! it basically promotes a politically motivated purge of state owned media, and in support exclusively quotes paid political propagandists of ranil’s unp, that is now in power through back door government. and it goes without saying without even bothering to ask for responses from those slandered . shame!